Preheat oven to 160°C (325°F). Place the eggs, yoghurt, coconut oil and vanilla in a large bowl. Add the sugar, desiccated coconut, baking powder and flour and stir well to combine. Spoon into a lightly greased 20cm round springform cake tin lined with non-stick baking paper and smooth the top. Cook for 40 minutes or until cooked when tested with a skewer. Set aside to cool slightly before transferring to a wire rack to cool completely. To make the whipped coconut icing, place the coconut cream and caster sugar in the bowl of an electric mixer and whisk for 1–2 minutes or until soft peaks form. 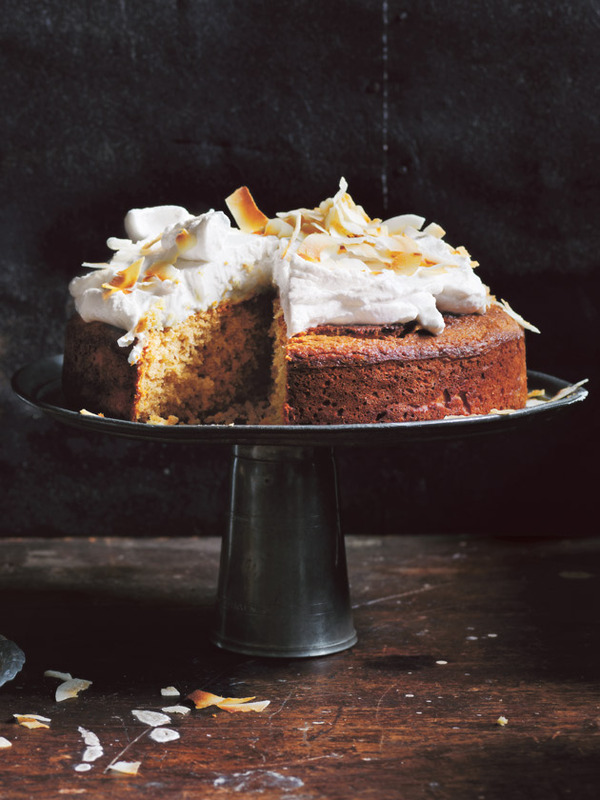 Top the cake with icing and toasted coconut to serve. Serves 8–10. + Refrigerating the coconut cream for 6 hours or overnight hardens the liquid so it can be whipped. Do not shake before using. Hi Sarsha, you can try a light flavoured olive oil instead of coconut oil, but unfortunately the texture of the cake might vary slightly. Happy cooking! I really like the moisture and textures of this cake but I find the coconut oil flavour a little too strong. Any suggestions to reduce the oil flavour and retain the moistness? We have a lot of staff with allergies and this cake was safe for all to eat. It was moist and surprisingly not to overpowering in the coconut flavour. It was simple to make and enjoyed by all.